I like to think of barn quilts as rural folk art. Rural CIVIC folk art because we can all get involved in creating a barn quilt. It’s the perfect form of community-based art. But whenever I say folk art, I always have the name “Maud Lewis” in the back of my mind. 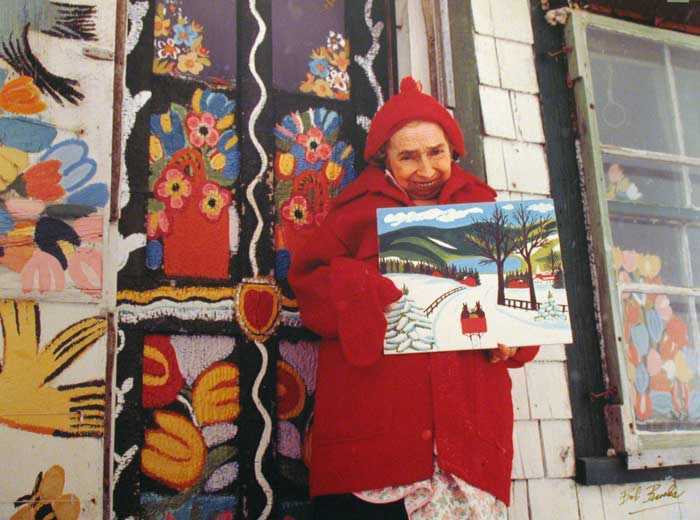 Here’s a film about Maud Lewis and her art. We’re lucky to have the National Film Board. Posted on May 6, 2011, in Barn Quilt Champions., Videos and tagged folk art, Maud Lewis. Bookmark the permalink. Leave a comment.